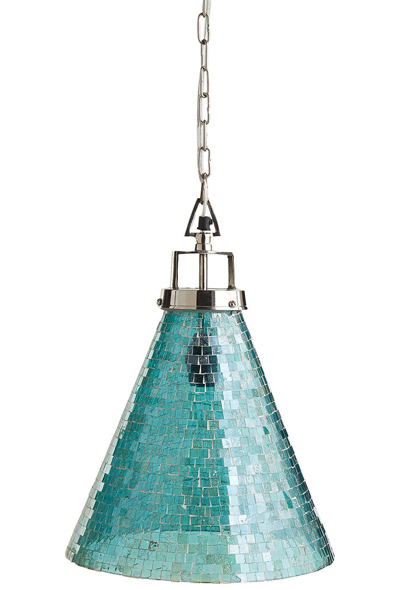 This Oceans Mosaic Pendant Light reflects layers upon layers of rich light, thanks to hundreds of tiny aqua tesserae that were placed by hand. All hardware is included. $129. Buy here.